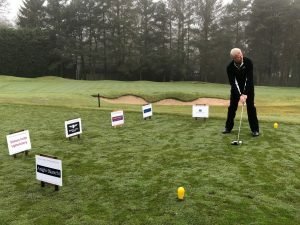 Would you like to take part in our Prestbury Golf Day in 2019 on Thursday 6th June? If so, complete the form below to register your team of 4. The winners will receive the Mactex Trophy which is now 31 years old! 1.00pm- Shotgun start all teams. Starting Tees to be confirmed at registration. If you would like to pay by cheque, please make cheque payable to East Cheshire Hospice and call 01625 664993 to register. By sponsoring a hole, your business logo will be displayed on 1 of the 18 tees at Prestbury Golf Club during the day of the event.